Anadrol / Anapolon Oxymetholone is probably the most popular oral steroid used by athletes today for bulking. 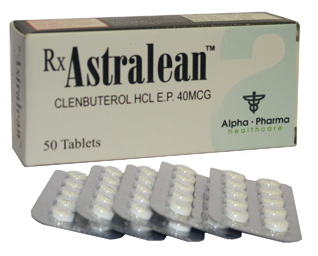 It gained its reputation for being a powerful and cheaper alternative to Dianabol. That’s still what many people use it for. Anadrol is a Dihydrotestosterone (DHT)-derived compound with the notable addition of a 2-hydroxymethylene group. In many respects, this modification could be called the defining characteristic of Anadrol. 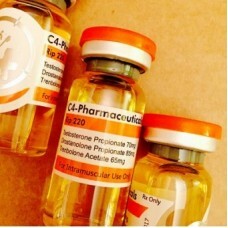 It’s that very different modification which imparts many unique characteristics on Anadrol when you compare it with other DHT based anabolic steroids. Winstrol, Masteron, Anavar, Primobolan, and Proviron- basically all other DHT derived steroids are used for cutting cycles. Anadrol is the odd one out here, and is really the only DHT derived steroid that we use to bulk up. We have to assume it’s the 2-hydroxymethylene group that’s responsible for Anadrol’s unique nature. Anadrol doesn’t bind well at all to the androgen receptor (its Relative Binding Affinity is actually too low to be determined). This is very close to Winstrol’s binding affinity, so it’s not that much of a surprise, as both are DHT derivations. Another pretty common modification we see with this compound is that it’s oral, and has consequently been made a 17-Alpha-Alkylated steroid; it has been altered at the 17th carbon position to survive oral ingestion. This is the most common modification we see with oral anabolic steroids, in order to help them survive passing through the liver. 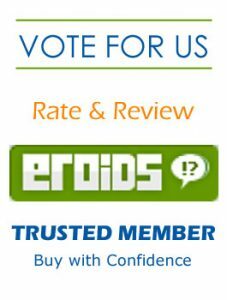 Let’s take a look at one of the properties that really distances Anadrol from other drugs that are in its family: its ability to put weight on users. Anadrol is really one of the very big guns in our anabolic arsenal and that’s how doctors look at it as well. It’s been used to successfully combat AIDS and other wasting diseases. This is because it has a very profound ability to pack pounds on to virtually everyone. It’s going to help you bulk up and it’s going to make all of your training weights move up on a daily basis. It is a huge favourite of the elite power lifters I know, for just this reason. Side effects are manageable and in one very few sides were reported for subjects using up to 2 tabs (100mgs) of Anadrol daily. Users typically find that the side effects experienced from Anadrol are present and noticeable for the entire length of the cycle; increased blood pressure, headaches, lower back cramps/pumps as well as shin cramps/pumps. Anadrol is a favourite addition to a bulking cycle for many and I certainly wouldn’t recommend attempting to use it alone, in most cases. The weight gain will simply be much nicer and have a harder more high quality look to it if you stack it with some injectable compounds. Most people stack it with 400-600mgs per week of testosterone and often an equal amount of Deca-Durabolin or Equipoise. And it’s basically used at the outset of a cycle, as a “jumpstart”. Using it in this manner allows gains to be seen from the outset of the cycle, and if high quality injectables are stacked with it, those quick gains in body weight can be solidified by the end of the cycle. Testosterone and Trenbolone or Equipoise are typical choices here, when attempting to solidify those gains.